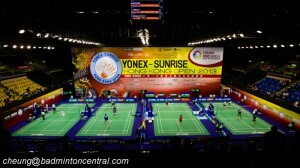 The 2014 BWF Super Series in Dubai have left mixed feelings within the Badminton communities. Many saw how the Danish pairs, i.e., Mr. Mathias Boe and Mr. Carsten Mogensen, acted and behaved inappropriately (or improperly) during the games and after its completion. This petition intends to uphold the reputation of the BWF (Badminton World Federation) and the integrity of Badminton as a sport, which is viewed by millions spectators around the world. It was expressly clear during the game that Mr. Mogensen damaged the sports by neglecting the summons from the Umpire during the match, which is clearly a form of not conducting in an honourable and sportsmanlike manner. Subsequently, it was also clear how Mr. Boe (orally) abused and intimidated the service judge (Mr. Rohana de Silva from Sri Lanka) after the completion of the game. Mr. Boe expressly declared that Mr. Rohana de Silva should change his glasses when he (Mr. De Silva) returns to “India”. 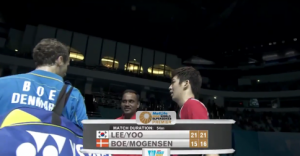 These insults were also evidenced by his opponent, at the time, Mr. Lee Yong Dae from Korea. We cannot, and should not, allow these types of misconduct and improper behaviour disrepute the sports. We further believe that they have grossly violated the Player’s Code of Conduct as governed under the Appendix 4 of Section 1B of Part III of BWF Handbook (Laws of Badminton & Regulations). If you agree and would like to see more stringent laws and integrity in Badminton sports, please sign and share this petition.